CHICAGO (WLS) -- Two Chicago police officers have been honored as heroes for their actions during a shootout that ended with both of them wounded. 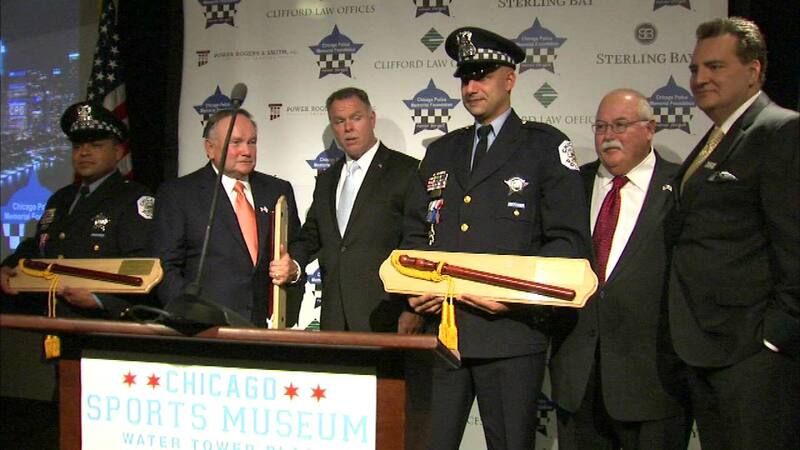 Officers Michael Wrobel and Javier Alonso received the Chicago Police Memorial Foundation's 2015 Award of Valor. In June of 2014, they pulled over a car in the city's South Side and the driver opened fire on them. Alonso was shot in the thigh. Wrobel was hit in the chest but he was wearing a bulletproof vest.